Today I learned that Easter also means fun hat day. Oh wow, that's awesome! I want to wear some fun and fancy hats! those are some stinkin awesome hats!! Wow. That hat of tulips is awesome. Thanks for sharing! wow! 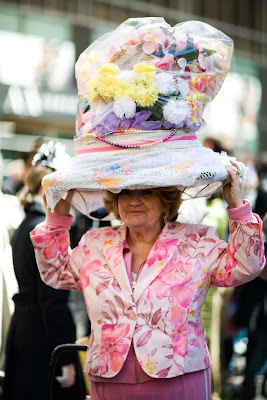 next year i am going to fashion a peep hat for sure!! Hahahha I wish I got to see that! Easter here simply means people looking pretty in spring dresses and going to church. fantastic. the second woman down looks like she's trying to stop the hat from eating her! Oh it also means peeps jousting:D So fun! These are great! I so want to make a fun hat now! 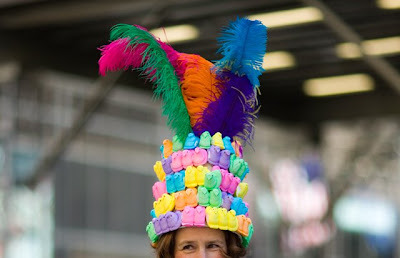 That peep hat is ridiculous! I feel sick just thinking about them... tummy hurts! those are cute pics. really brightens my day, thanks katie! 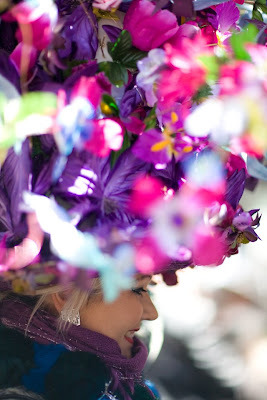 Those are some amazing Easter bonnets! I especially like the flour pot hat. LOVE the peeps hat. might have to copy that for next year! 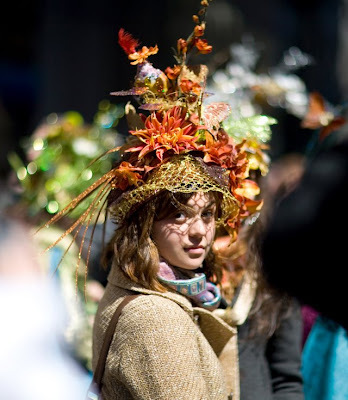 I am sincerely disappointed that we do not designate more days as being fun hat days. Not that I need an excuse to wear a funny hat but... one does love company! I want funny hats everyday! 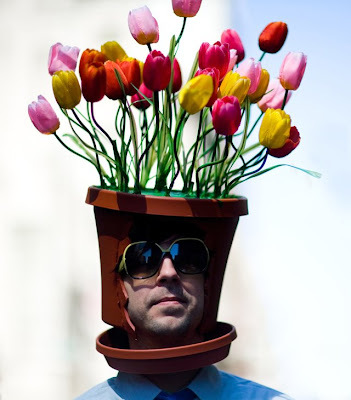 FLOWER POT HAT! coolest thing: ever. i love the peep crown! This made my day! Oh my gosh, this reminds me of a much beloved book from my childhood called Maybelle's suitcase--it's about a hat made from found items. Great! NO WAY!! Oh, man! 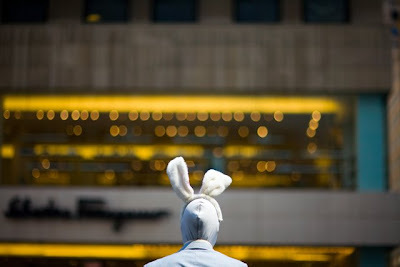 I'd have given a lot to have seen that Easter Parade in person. That Peeps hat is so funny. So loving this!